If you think you’re confused about how best to de-accumulate assets to cover retirement expenses, you’re not alone. 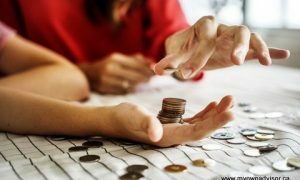 I’ve read countless articles about how to preserve capital while creating some sort of income stream to cover expenses in the golden years – but no two articles are alike. Unlike your asset accumulation years where there is some consensus related to maxing out your Tax Free Savings Accounts (TFSAs) and Registered Retirement Savings Plans (RRSPs) for decades on end (to financially secure your retirement), no such consensus exists for retirement withdrawal strategies. Academic research seems to show thanks to William Bengen, a financial planner with a background in aeronautical engineering, that withdrawing 4% of your portfolio every year, and increasing your withdrawals with the rate of inflation, will ensure you not only have enough income to cover expenses but you likely won’t outlive your money over a 30-year retirement span. My personal thesis is that this 4% “safe withdrawal rate” will be presented with some strong headwinds in the coming decade, thanks to major demographic shifts; causing rising healthcare costs, lower government revenues and consequently cuts to various government programs. Studies indicate government bond yields go through cycles lasting about 60 years: 30 years for the uptrend and 30 years on the other side. If the theory holds true, yields have “virtually no room to move further downward, thus no capital gain opportunities remain”. This means some sort of 70/30 portfolio split (equities/bonds) is a better bet for the foreseeable future. “Actuaries estimate that real returns on bonds over the next 25 years will average between 1 and 1.6 per cent depending upon the term of the bond”. If actuaries are correct, and they are smart people, then basically returns from bonds will just outpace inflation (~2%) for the next few decades. This means many investors (including retirees) predominantly need to count on equity returns for growth going forward. With a larger bias of equities to fuel portfolio growth for retirees, this creates more financial risk; there is short-term volatility to withstand and capital losses can occur – at precisely a time when retirees are counting on and depending on capital withdrawals to cover their expenses. Needless to say I think this poses some serious challenges for retirees managing their portfolios. 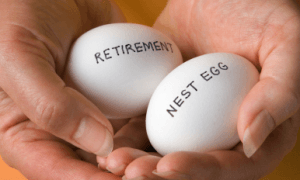 What is the appropriate asset allocation for retirement? Is there a way to structure a portfolio to mitigate equity risks? When it comes to fixed income, I consider payments from Canada Pension Plan (CPP) and Old Age Security (OAS) in that bucket. Regarding the former, I think CPP payments should be solid for retirees for decades to come. CPPIB also says it’s sustainable for 75 more years. OAS is a different beast since it’s paid from general tax revenues. Even though I think OAS changes should occur, I don’t think any government will dare touch it. Assumes “average” Canada Pension Plan (CPP) and Old Age Security (OAS) payments. Maximum CPP right now for 2016 is about $1,100 per person per month although most retirees won’t get that much. OAS payments provide under $600 per person per month. The “keeping it safe” structure holds 50% of the portfolio (including CPP and OAS) as fixed income. You keep at least 3-5 years in cash as “buffer” for daily expenses. You keep all other assets in equities for growth. This is a conservative “safety first” approach I think that should withstand most short-term market turbulence. The challenge for investors using a total return approach however will be to sell equities when markets reach modest or new highs, and move cash timely into the cash “buffer” zone; although the fixed income allocation is generous. Using this structure I think it would make sense for most investors to draw down their RRSP assets or RRIF, before any non-registered assets, and keep TFSA assets in a mix of bonds and equities intact for as long as possible. This structure also assumes CPP and OAS provide fixed income, but only 30-50% of the portfolio is in fixed income. As part of your fixed income portion there would be a GIC-ladder. When you “ladder” you have maturities on fixed-income investments at different times meaning each “rung” on the ladder represents a different term. A $10,000 GIC ladder for example could have maturities on $2,000 in years one through five. An additional GIC ladder say mid-year could provide additional interest rate safety and you can access funds a couple of times in the year. The benefits of laddering are you don’t have to guess what term will give you the best interest rate on your money and since you have money maturing regularly (maybe twice per year) you can smooth out interest rate movements. You use the maturing GIC-ladder to keep a cash “buffer” for daily expenses. This is also a “safety first” approach but with more equities you’re taking on more risk. Equities of course could have a tilt towards capital appreciation (think low-cost indexed funds) or income (think dividend/distribution paying funds or ETFs) or a mixture of both. Again, CPP and OAS provide fixed income. Keep 1-3 years in cash as “buffer” for daily expenses. Buy and hold a mixture of equity assets that deliver mostly income, to keep cash fund afloat. These could be dividend paying stocks, Real Estate Investment Trusts (REITs) and dividend-oriented ETFs that provide monthly or quarterly distributions. This income-oriented approach assumes more risk than structure #1 or #2 and it may deliver lower, overall, total returns. Of course it is possible though that with higher dividends/dividend increases, you avoid dipping into capital. You may prefer this approach if you’re investing in dividend paying stocks in a non-registered portfolio, since there are significant tax advantages for investors who hold Canadian dividend paying stocks in a taxable account. Dividends are a very important part of investment returns but there is nothing magical about them, they are part of an investor’s total return. An income-focused structure could see retirees drawing down their RRSP or RRIF assets first, then using the tax-friendly non-registered dividend income to help cover expenses, keeping their TFSA in place for as long as possible. Treat any income from our pensions like it is: fixed-income. We will use the fixed-income for basic living expenses. At time of retirement we’ll keep one-year worth of living expenses in cash savings, maybe more. 50% invested in a couple of low-cost, diversified, equity ETFs that invest in thousands of stocks from around the world. We will spend the distributions from these investments and eventually draw down the capital from our RRSP accounts, first. How to de-accumulate assets and keep asset allocations in line with your risk tolerance in retirement is just something I’ve started to mull over. I’ve barely scratched the surface today. I suspect there is no perfect solution for every retiree. (I haven’t even introduced the concept of annuities here.) However it’s something I’m getting more curious about. Given such strategies have no one-size-fits-all formula I’m curious if there are retirees out there who have managed to find something that works out well for them – so do share. 63 Responses to "Asset allocation in retirement"
·	CPP and OAS provide about 40% of our expense needs. No other pensions. ·	We keep about ½ year ($25k to $35k) in cash as extra expense funds. ·	Our investments are 85% dividend growth stocks that generate a growing income. ·	We do hold one Real Estate Investment Trusts (REITs), but no ETFs, GIC’s, bonds or preferred stocks. ·	Minimum RRIF withdrawals are used to max out TFSA’s, In-kinds transfer to Non-registered account (to continue growing our income by re-investing the dividends) and cash as needed. Great overview and thanks for sharing. I suspect you’re living very well with those expenses in retirement, and no debt. Good on you. The more I think about this stuff, the more I realize having some sort of cash buffer is important. You keep 1/2-year of expenses in cash. I’m more conservative (see post) so I think we should have 1-year worth; as part of the income-focused plan. If most of our basic living expenses could be eventually covered by pensions, and other living expenses could be covered by dividend income, then the RRSP assets/RRIF assets and subsequent withdrawals could cover the fun stuff. I’d be talking about having $60k-$70k in liquid funds lying around. One could have it in 1yr GIC’s (assume it’s not locked in) but I think it’s still a waste. Out of debt, having a Line of Credit may be a better choice. The rates are about 2.5% to 3.5% on funds taken out. That’s if you leave it for the year, we usually used the LOC for a month or two at the most before repaying, which cost less than 1%. If I had $500k in etf’s costing 0.003% to 0.005% that would be $1,500 to $2,500 per year, which would pay for my auto gas and most of my insurance cost. You are certainly correct about the fees you quoted, although $2k per year to manage a $500k diversified portfolio isn’t too bad, although I see what you’re saying: even some small fees add up over the years. I know you avoid paying those via direct stock investing vs. ETFs. Some wealthy retirees I know seem to keep a good year’s worth of expenses in cash, funded by maturing GICs, bond ETFs, dividend producing assets or other assets. That seems to be very smart to me. Interesting reading and very relevant to this retiree. I have been working with an advisor to move our savings into a less risky strategy (he is good, he doesn’t laugh out loud at some of our holdings). It is taking a year to get there but most of the funds and etfs in our RSP are being sold and switched into corporate bonds, they pay an almost reasonable return. Non registered funds are staying in dividend producing equities. At least for now, capital gains and dividend tax relief is driving the distribution. I am not being advised to sell all risky stock just reduce the play money to a more sensible level. It mighg be boring but that makes sense to me. I like the call Richard on dividend producing equities non-registered. I assume you’re taking advantage of the dividend tax credit – for Canadian assets? Capital gains are the lowest form of tax, this you know I suspect. Some form of income-focus for us, and a cash buffer, will likely work for us but then again, I’m many years away from needing to solidify things. The financial plan is subject to change of course but the process of planning is important. Thanks for reading. Background. I’m retired as of age 55 (last May), spouse is on disability til age 65 (ten more years). I also have some minor income from our small farm. For now, my pension and DW’s disability income stream more than cover our expenses (including TFSA contributions for all three of us). Once she turns 65 she will lose much of her disability income and rely totally on her small company pension, RRSPs and TFSAs. We don’t know the exact numbers but suffice to say the actual disability/pension income portion will be much smaller. As my pensionable time was only about 17 years I do not have a full pension so I have an opportunity to begin removing income generated within my RRSP to stay within the 15% federal rate. This is what I intend to do and will either be investing these funds in a non-registered account or contribute a lot to my daughter’s RDSP. I will apply for CPP shortly after turning 60 in order to maximize the drop-out provisions while minimizing the age penalty. Will have to consult with CPP to find the optimum age. We will assume OAS will be returned to age 65 eligibility. So ten more years of growth in DW’s RRSP before funds will be required and some minor growth for the next ten years within my RRSP and LIRA. Once we hit 60 we will re-evaluate where we are. Obviously health is an issue for both DW and our daughter so having a lot of options is essential for us. @Lloyd: Seems you are making the best of a difficult situation. I’m sure you’ve planned your investments to meet your future needs and I wish you and your family all the best. Thanks for the detailed comments Lloyd. I’ve read a great deal about applying for CPP at 60 or 65, etc. and most articles I’ve read say to take the money as soon as you can – almost regardless of any perceived longevity. I intend to take CPP at 60 as well (unless the rules change). I will be forced to take OAS at 67, unless those rules change again as well. I think you hit the nail on the head: “so having a lot of options is essential for us.” I think that’s the key I am striving for. Having some financial decisions in life is a good thing. You sound like you have some difficult circumstances in your life but you’re doing a great job of keeping things in check. Great stuff Lloyd. You really should spend some time going through Wade Pfau’s work on retirement portfolio. One of his more “controversial” theories (mostly because it does not jibe with the conventional financial model for sale) is for retirees to begin retirement with an ~80/20 bond/equity portfolio and gradually increase the equity portion/decrease the bond portion as they move through retirement. This causes your portfolio at the start to be shielded from permenent loss risk, and shielded from purchasing power risk as time moves on (yes, taking on more PL risk, but the less time you have left, the less capital you require). He also challenges the 4% Rule quite handily. That is certainly controversial: 80/20 bond/equity split. I simply don’t see how that is a sustainable model with today’s uber-low rates? I could be wrong, maybe I am! To fight inflation, keep purchasing power, I intend to start retirement with a “living off dividends/distributions” approach while keeping a modest cash wedge. I will check out his (Wade’s) articles more. You seem to be a fan! Wade Pfau’s entire professional focus is on retirement portfolio and is regarded as a front runner in the field (with some original thoughts). Pfau doesn’t mention dividends or dividend growth. Guess their pushing for your investments. LOL. Maybe… I would need to read up more! Pfau doesn’t differentiate between perceived equity types — to him, equity is equity. Thanks SST, will read the link. Interesting article and comments. It is still far away topic for me, aiming at 2029. The remark from SST IS one that I have heard before and it makes sense to me, if you can withstand the paper losses. On a personal level, I think 3 years in cash sounds more reasonable. This would allow to withstand not only a crash in the stock market, but also allow to have some recovery before having to sell. That being said, I am more leaning towards structure #3 where dividends and rental income provide income. stock price fluctuate are less important then. “I think 3 years in cash sounds more reasonable.” I think retirees need to think about this, if they don’t have fixed income via pensions or government programs to cover their basic needs. Avoiding major capital losses using a total return approach seems to be VERY key (understatement) in retirement. Thanks for the comment. Non pension funds (~50% of expenses) come from cash, unregistered dividends, and are replenished by RRSP withdrawals (equity & FI) which also top up TFSA equities. Over time I plan to gradually raise the percentage of equities, when other indexed pensions begin and when we have fewer years remaining to live. You’re in a very good place with your non-indexed pension; providing 50% of total expenses and over 100% of normal living expenses (other than discretionary spending such as travel and large purchase such as car). That is very good and so you have no longevity risk really…. -45% in FI is a very conservative cash wedge. Different than what our Finance Minister advocates! (70/30 equity/bond split more realistic for long-term growth). Interesting to know you’re going to raise equities over time. I suspect that’s because CPP and OAS will kick in to change your asset mix as well? The real risk in the pension is loss of purchasing power and a reduced pension for the potential survivor(me) in the event of the retiree’s death. IMHO, there could be a flaw in considering a pension fully a “fixed income asset” for couples, depending on the plan and benefit for the survivor and on whether other insurance may mitigate some of the risk. Unlike invest able fixed income assets the survivor benefit is likely less and can be much less. Government “fixed income assets” may often mean zero for the survivor. They’re great to have but it causes me to look at them a little differently than “fixed income invest able assets” that generally transfer fully and more easily if properly planned. While there is partial indexing potential for my wife’s plan it is unlikely to meet the criteria so we do not expect it and account for it with our invest-able assets. Concerning the cash wedge in the traditional sense (3 years) we would have about 25% with the other 20% spread out over 5 years. While I haven’t read the finance ministers latest book (assuming he co-authored with Fred Vettesse), I’m not surprised to see my choice as a little more conservative and not quite sure what is meant by “more realistic for long term growth”. I wonder how anyone can accurately advocate a specific asset allocation % for a particular family/individual without fully understanding their need and desire to take risk, and their complete financial picture such as discretionary vs fixed spending, investment growth assumptions, ages etc. Sounds like a general guideline bump from the traditional 60/40 EQ/FI due to lower projected returns on bonds and likely equities too. After considerable deliberation we’ve chosen to stay slightly more protective vs. being more concerned about growing assets and maximizing income. We’re happy to accept lower returns for lower risk, at least at this point early in retirement and factor this into our arguably conservative assumptions. Given that we’re in our initial “go-go” years and are spending less than our plan I find that realistic enough for me for now. No doubt there will be future tweaking but currently we’re in a comfortable place investment and lifestyle wise. Yes, per my last line in my post I expect to raise equity ratios when CPP (3 years) and when/if OAS (8.5 years) begin and we’re further into retirement and less in “protection mode”. Good points. I’d have to look at my plan. I recall the survivorship benefit of my plan is 66%. Yes, The Real Retirement is the book I’m talking about in the post. It was good. As for predictions I hear what you are saying and their recommendation is “bump” over the traditional 60/40 split based on largely demographic shifts that are underway now. If so that’s a good number. Better than ours. The other consideration is bridging if applicable. In our case the overall impact is significant. I have the book on order from my library. There was a huge backlog and they only had 3 copies. I won’t have it until we get back from Spain in June! On annuities I would strongly consider them for a larger portion of “fixed income” needs if the payouts were better. IMO, all people should be taking on only as much risk as they need in retirement, without employment income and time to offset major setbacks. Everyone’s idea of risk is different of course. Well, looks like you have some reading to do after your epic Spain trip! I think annuities make sense but given returns right now, if I needed fixed income, and I wasn’t in my 70s yet, I don’t know if I would consider them. Good point about risk – take on only what you can tolerate and no more! In my analysis, the early results bear out what Darrow has found. A little bit of bonds (20%) reduces risk of total failure and more bonds increases your risk. This goes against conventional advice He also finds that basing withdrawals on market conditions (CAPE median) outperforms other strategies, which is what I’ve found so far. I’d like to also do some analysis where a portion of income comes from dividend stocks but I still have to find some historical results for this type of return. That was a good article. Quite technical, but good. Thanks for sharing. I’ll put that in my Weekend Reading update. I recall the Trinity Study, a 4% withdrawal from a 50-50 stock/bond portfolio over 30 years has virtually no chance of running out of money. For my own portfolio, I’ll probably be closer 80-100% stocks if our pensions can pay for the bulk of our retirement expenses. That’s a big IF so we’ll see. I’m 63 and have been fully retired for 3 years. My wife and I have no company pensions. In fact, my wife was a stay at home mother so doesn’t get any CPP. We are fully invested in Canadian dividend paying stocks, No fixed income/GICs at all. We only hold utilities, financials, telecom, pipelines/midstream, and REITs. No foreign, no oil & gas producers, no mining, no consumer stocks, and no technology. Very, very focused portfolio. Our dividend income + my CPP (took at 60) are larger than our expenses so we are still increasing our portfolio size. We only keep ~20k in cash as the dividends roll in regularly so I don’t think we need too much bigger a cash wedge but will slowly move it up to 50-60k over the next few years. Our non-registered accounts are mostly dividend payers. My TurboTax test showed a marginal tax rate of 9.7% on eligible dividends for the 2nd tax bracket compared to 15.25% for capital gains so I actually think dividend income is considerably better than capital gains. Anyway, this obviously isn’t the asset allocation for everyone but it sure works for us. In spite of our RRSP withdrawals (and extra taxes) and our cash withdrawals to live off, our portfolio value is 14% bigger since I retired. (and that’s after the spanking that most midstream companies took last year (eg: IPL, PPL, GEI, ENF, ALA). You could be my twin. Many disagree but the proof is in our bank accounts, (not to mention our growing portfolio’s! That sounds very similar to what my late Dad did, 100% dividend stocks. He retired with a good pension and did very in retirement, so his livong costs were more than covered. Exactly my plan Rob! Well, almost. I will substitute some dividend paying stocks with a few low cost ETFs for diversification. That’s rather impressive Don: 63, fully invested in Canadian dividend paying stocks, No fixed income/GICs at all. Potentially this is where I have thought diversification would help, unfortunately I have experienced some dividend cuts in my portfolio: I own foreign stocks including a few oil & gas producers. We intend to take CPP at age 60. I’ve read about the penalties, but then again, you can’t take it with you! Very impressive that your portfolio is 14% larger now than when you retired – you have little longevity or financial risk to worry about. Well done Don. I guess our portfolio would be a modified #3. CPPx2, OASx2 and a decent partly indexed pension provide complete coverage of a modest lifestyle. Drawdown on RRSPs is used for the non modest moments. These are in bond funds (corporate, provincial and real return) and REITs. All non registered funds are in dividend paying Canadian stock and preferred shares and the cash generated here funds our TFSAs and our grandchildrens’ RESP. As with some other commentators, I kept a relatively small cash reserve but a child’s renovation gone wrong required the sale of several stocks at a poor time so I plan to rebuild a more robust cash wedge. This is a very timely article as I also found tons of content on building a growing portfolio and almost nothing on how to draw it down safely and efficiently. Thanks for your thoughts. Nicely done Rich. We plan on having CPPx2 and OASx2 eventually. We also hope to draw down our RRSPs early in retirement, we’ll keep the dividend paying stocks non-registered (like we do now) and a mixture of low-cost ETFs, stocks and REITs inside the TFSA (not unlike now). The TFSA will be the last account to deplete. I believe in buying and hold dividend payers for cash flow and investing in low-costs ETFs for long-term growth. So far, so good. A very interesting topic to discuss. Something that I havent really thought about as I feel that retirement is sooooo far away. But its always interesting to see how others structure their portfolios in retirement. Some great strategies and the comments section also has some good ideas. What happens when one spouse dies? Your “fixed income” CPP will drop and you lose one OAS. Your work pension may drop as well. Mental incapacity is a growing concern with age. You need to plan withdrawal strategies that are not at risk if your intellectual capacity declines. Annuities are one way to address this issue. Canadian dividend-paying stocks are best in non-registered accounts. But be careful- the tax treatment gross up moves your income into OAS clawback territory more quickly. No one knows the future performance of stocks/fixed income. So, my goal is a 50-50 split. I like a 5-year cash cushion – 5-year GIC ladder to provide income. Another reader RBull brought this up, rather good of him to do so like you – re: one spouse dying, survivor benefits may change, etc. On the subject of annuities, I think they are great if/when mental capacities change. You seem to be a fan of a cash wedge approach which I’m learning more about, and seems smart. In my income-focused structure plan, I could see us needing at least 1-years worth of cash on hand for living expenses. I don’t think it needs to be all that complicated, and keeping things simple is so important in investing. Using a total return approach, once you’ve decided on you asset allocation, say 60/40 stocks/bonds, at the beginning of each year, having kept all dividends and income from the previous year aside, sell enough of either stocks or bonds (whichever is off target on the upside) to bring the annual withdrawal up to the 4% of your starting portfolio value. Within the bond allocation, it’s a good idea to keep 2 years worth of expenses in cash (for years when both stocks and bonds go down), and 2 more years in short term bonds or GICS. This is like a 4 year cash cushion, which can be replenished when stocks/bonds rebound. As to which accounts to withdraw from, start with the least tax efficient (taxable, if you have one), then RRSP, then TFSA. Of course you are forced to withdraw from the RRSP at 71, which may have implications for bumping up against the OAS clawback level. Although bond like, CPP, pensions etc. are not really a bonds as you can’t rebalance with them, so I it’s better to think of them as additional income so will you will just need to withdraw less from your investment account. Another good example of a cash wedge approach Grant. You’ve cemented this is the way to go for me/us. I was actually thinking of drawing down/depleting the RRSP/RRIF first, then taxable, then TFSA in my future. I say the RRSP because I will likely have that withdrawn, spend and excess funds moved to non-registered to take advantage of the dividend tax credit, I would also deplete the RRSP potentially before CPP and OAS, since the latter could (although not likely) put me into OAS clawback zone as you mentioned. Thanks for writing Grant. I think this is an important subject many seniors/retirees struggle with. I agree there are circumstances when it makes sense to withdraw from the RRSP before the taxable account – incoming smoothing, avoiding bumping up against OAS claw back etc. Just to clarify, are you saying that withdrawing excess money from the RRSP (if Canadian stocks) with resulting loss of tax deferral, but conversion to marginal tax rate on withdrawal, is worth doing to gain access to the dividend tax credit in a taxable account if the money is reinvested into Canadian stocks? I have a few years (>10 at least) to figure this out, which puts me into my early 50s, but thinking RRSP withdrawals not used to cover expenses, and not used to fill TFSA, would go non-registered. Certainly early in retirement I could see $5k from each RRSP withdrawn, I need that money to live from, TFSAs remain untouched, and living off non-reg. dividends at a low tax rate. If we were to retire early, we’ll see? ?, then I would need to find a way to deplete RRSPs (take more out) before pension income kicks in and CPP (age 60) and OAS (age 67) kick in. Otherwise there may be clawbacks I think, if I work until age 55 full-time. I haven’t run the numbers in detail but this is what some initial numbers are showing me. Thanks for your comments Grant. I certainly learn from you, Don, RBull, Gary, Gail and the rest who have done very well for yourselves. I’m working along these lines myself although am more comfortable with a little larger & longer “cash cushion”, and smaller “withdrawals”. The other part where I am doing things differently is attacking our RRSPs first since this is the bulk of our holdings, and am trying to “smooth” taxes over time. @Cannew – I did notice our approach was very similar when I read your original post. When I decided on the full Cdn dividend approach, I was a little unsure especially because all the literature recommended a good size fixed income position as well as foreign exposure. It’s re-assuring to see someone else being very successful with the same approach. I’m also feeling way more comfortable after the bit of a “test” last year with many dividend stocks taking quite a hit on their share price. Of course, this doesn’t really matter as long as the dividend doesn’t get cut. @Mark – Dividend cuts are indeed a bummer and that’s why I stay away from oil & gas producers, commodities, cyclicals, consumer stocks, gold, mining, etc. We had one cut with D.UN but have already had 8 dividend increases so far in 2016 to more than offset the cut. @Gail – I’ve factored in the dividend gross up and my wife and I shouldn’t have any problem avoiding the OAS clawback. We both have an RRSP, TFSA, and non-registered account (I made her a $140k loan a couple years ago to get hers started). This will allow us to control how much comes out of which account. We are also trying to reduce our RRSPs by doing in-kind transfers to the TFSAs and non-reg accounts each year. @RBull – totally agree with attacking the RRSPs first. As mentioned, we are doing in-kind transfers and taking the tax hit now to avoid any OAS clawbacks in the future as well as a bigger tax hit on the estate when we both pass away. A 30.5% marginal rate sounds way better than 48%.. Certainly lots to consider and one of my favourite topics. I must say that I disagree with Grant when he says that “it doesn’t need to be all that complicated”. I think it is very complicated when all the factors especially clawbacks and ongoing and then estate taxes are considered.. I think going forward I will limit my exposure to oil & gas, commodities and consumer stocks. A good lesson learned over the last 12 months for me with O&G for sure. I could see us depleting our RRSPs before CPP and OAS come into effect. Ideally we could live off dividends + pensions (I figure we need $50k per year after tax in today’s dollars for that). Our goal is to earn $30k in dividend income (pensions fill in the remainder). CPP and OAS will be icing on the cake. No direct foreign holdings at all. We hold some “indirect” with TSX listed companies that have foreign holdings – AQN, BEP.UN, BIP.UN, BNS, NPI, and RY. I also learnt my lesson the hard way with O&G producers but got out without too much damage. I’ll never buy another O&G producer as a long term investment again. I may do some trading if I decide to do another trading phase at some point. Right now, I’m not in the mood for the extra work. Just buy and hold and collect those fantastic dividends. As I’ve mentioned, you sure seem well on your way with your investments (and at quite a young age to boot). I agree that hearing the stories and strategies from existing retirees is so very useful (to all of us). Thanks for doing your blog. It’s the best one I’ve ever run into. Wow, interesting: no direct foreign holdings at all. I own some of the same, for the same reasons you do, international exposure via domestic stocks. The Brookfield suite of companies are great for that! I’m learning my lesson with O&G. I was tempted to buy ECA at $5 but I told myself “no”. “Just buy and hold and collect those fantastic dividends.” – music to my ears. You’re welcome for the blog. I enjoy running it! So much contempt for O&G! I think before you condemn an entire sector, it might be wise to look at how/what you put your money into, and if you truly understood the investment (including all the risks). I own two O&G companies; both private equity, one Canadian, one US. The Canadian co. is in great shape, even with depressed prices, because they have always operated with zero debt which allows them a massive amount of optionality (there it is again) especially compared to all the juniors who were leveraged with $100 oil loans. The US co. is stable, but it does operate with a low degree of debt. The real kicker with this one is the profits are in US$ but I get paid in C$, so even with oil down 55% from my entry position, the exchange rate is up 30%, inflicting a net decrease of my dividend payments by only -25%; comparable to that of giant firms like Suncor or Exxon @~20% capital loss (note: XOM dividend increased 5%; SU 0% since the decline in oil). Long-term both companies are great operations and I will definitely continue to hold. Would I buy public O&G producers? Probably not so much. Well, I just feel like I’ve been burned but I continue to stick to my word and buy and hold. I hold a few CDN O&G companies, SU being one of them and a few U.S. None of them are juniors. I didn’t press them on it but I wonder if anyone else has experience with it. Maybe its also because they like commissions from a few extra trades. @rbull We transfer from trig to toss & non regarding every yr. But our acts are all with same inst. What they do is Trans to non refundable then to tfsa. I don’t know what trig or toss is, and have never heard of non refundable?? I’ll have to ask about other ways to do this. Our accounts are all with same inst too. Trying to on phone. MEANT rrif to tfsa. They move the funds to non regarding then to tfsa at no cost or change in the Trans price. I’m sure I’ll have my own OMG moments a few times over as I get older. What I think is a great plan now could be totally flawed in 5-10 years. I’m already starting to change: I’m adding more indexed funds like VTI so over time I’m spreading my risk around – this is a good thing. I enjoy the comments as well. There are some readers who really have a great handle on things. Kudos to them. I learn from everyone. Thanks for reading Gary. When we do an RRSP to TFSA transfer with RBC Direct Investing, they actually pass it through our non-reg accounts so each in-kind transfer is actually two steps. We’re Royal Circle members so there’s no fees to do this and it’s all done in a couple minutes. Thanks Don. Strange they didn’t mention any of that to me, as I’m in the same situation as you. Good to know I can do this. I am not sure you can say this. You do not know the future returns of the assets you are going to pick. Therefore, you do not know how the mixture of equity assets you select will do relative to a mixture of other assets. My portfolio of dividend growth stocks has done better than a traditional asset allocation portfolio over the past 8 years. It might as well do worse than it over the next 8 years. But you do not see me stating that others will do better or worse than me. I guess what I’m saying DGI is, based on research and numerous papers, the average investor underperforms the market consistently. This could be for many reasons but the essence is, a total return approach is likely the best bet for the average investor to keep up with market returns. You are correct, I have no idea what the future holds…but an income-oriented approach is likely focused on yield and not total return. As you know, dividends are part of total return but not the entire deal. That said, my portfolio has also done fairly well over the last 5-6 years since I started this approach and I have no intention of changing it: stay invested in 30-40 dividend stocks for cash flow, diversify using products like VTI for long-term capital growth. DGI, Mark is quite correct in saying that an income approach assumes more risk. This is because a portfolio of dividend stocks is less diversified and therefore more risky than a market portfolio. A market portfolio looks at factors beyond yield. Once you do that you find better drivers of return which is the key reason dividend investing falls short. I agree that you don’t know the future returns of assets you plan to pick. But the evidence in the literature, which is very wide and deep and now widely accepted, shows that an investor choosing individual stocks, by whatever strategy, has a vanishingly small chance of outperforming the market over the long term. It doesn’t make sense to me to play such odds. 8 years is not long term, particuarly in a period when dividend investing has become very popular as investors reach for yield due to low interest rates, thus pushing up valuations which reduces expected returns going forward. Don’t get me wrong. I think dividend growth investing is a good strategy. It will get most people where they want to go. It is just not optimal. Particuarly for young investors, if they choose dividend investing, they should go in with their eyes open, and at least properly benchmark their portfolio to see how they are doing. I think it all boils down to how much money you have. If you have 5 millions, you can place it in very safe 1% yield investment and sleep very well at night. Same if you are a government (any level) ex employee. If you only have 1 million, to get a decent living, you have to invest in risky 5% and above investment. You will not sleep well and your 1 mill. will fluctuate up or down 100,000$ easily. As for me, I am 67 and retired the day the conservatives (I hope they all go to hell) closed the income trust. My expected income fell from 50K to 25K. Fortunately I made some good moves recently, like investing in US big name stocks when the Canadian dollar was at or near par. I am 100% in stocks, 30% US, dividend paying large multi national stocks (dividend aristocrats from David Fishe’s champions list). My reasoning is that people will keep on eating, cleaning, heating or cooling their homes, get medical help and use medication, move around no mater what. Recently I started buying preferred stocks to give my portfolio a little more stability, more precisely, less fluctuation. I would have preferred to buy bonds but the yield is ridiculous. Fair points Jean. Certainly a government employee who has worked 35+ years don’t need very much money saved for retirement. Those pensions are worth millions. Interesting to hear you’re 100% stocks. We are as well and we likely hold the same dividend paying fish! I haven’t invested in preferred because they have not as much upside as common stocks and they have bond-like interest rate risk. I can see them being a more conservative investment for sure. 78 years young with a modest portfolio and no employment pension. Fixed income is 80% government and 20% split between annuity and RRIF. I keep 3 years worth of expenses in cash (TFSA). My portfolio consists of 4 low cost index funds. Equities 60%, Bonds 25% and cash 15%. I am doing a Glidepath by drawing down Bonds for the next 5 years, leaving equities to grow. Net worth is approximately one third real estate, one third annuity and one third portfolio of the above allocation. While drawing the mandatory RRIF amount I live comfortably in my own home with this arrangement. I have longevity on my side so am planning on financing my late retirement (just retired 5 months ago) until age 98, By then I would likely have home equity to provide care. Discipline is required and thankfully, enjoyed. Great to hear from you Eve! At 78, impressive you have “…equities 60%, Bonds 25% and cash 15%.” I think you’re smart to sell bonds and draw that down while keeping equities to grow. I used the same approach recently for my parents RRSP – sell some bonds now and keep equities to go higher over the next 1.5 or years – hopefully a good call given the TSX has been flat this year.